It was a little after six in the morning on Sunday, March 3. 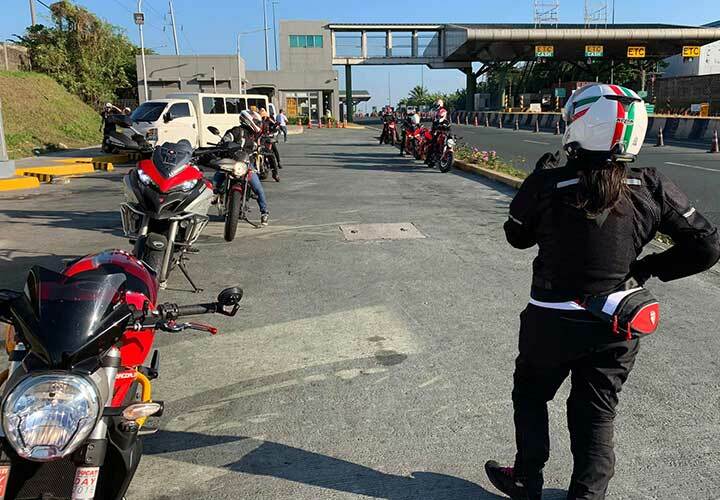 Out of the blue, a sound like rolling thunder punctuated the droning of cars passing along South Luzon Expressway (SLEX). 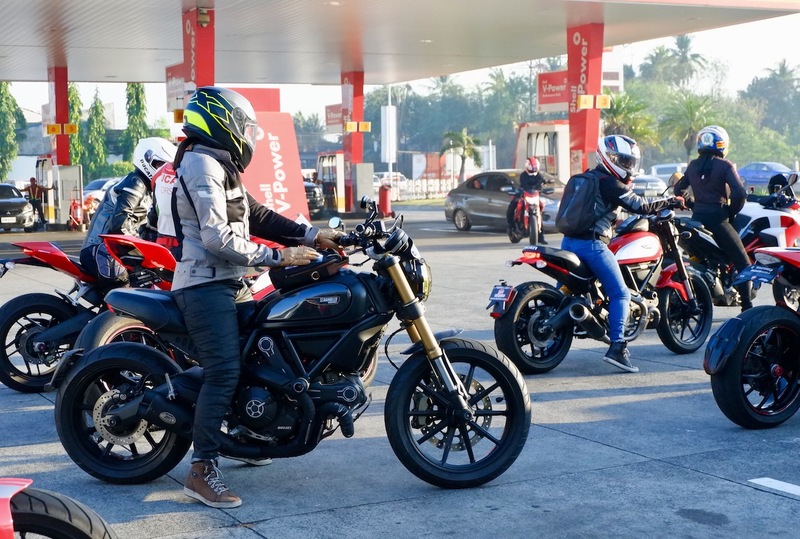 Massive Ducatis rolled into Shell SLEX—Multistradas, Scramblers, Monsters, and Panigales in thundering procession. A sighting made rarer as the riders’ helmets came off. Women on Ducatis? Rare in this country, but awe-inspiring nonetheless. 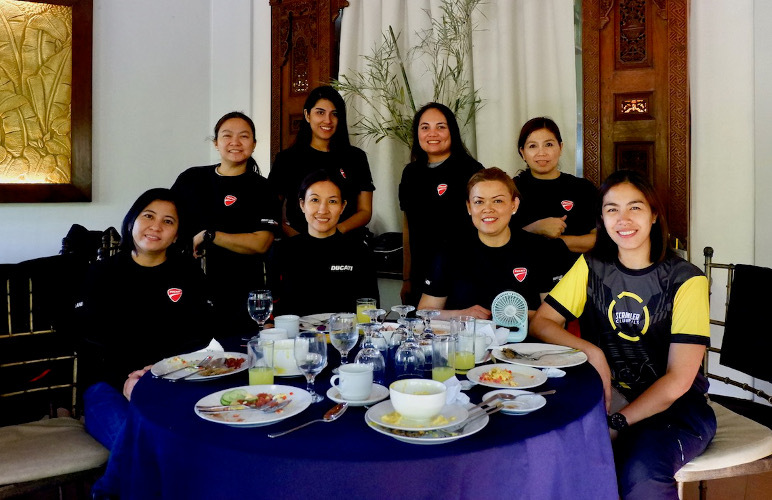 This Sunday’s breakfast ride to Cintai Corito’s Garden in Batangas was particularly special for the Ducati Lady Riders Philippines (DLR). The ladies were celebrating the group’s first anniversary, and they had some catching up to do—on new riding gear, recent developments, possible dinner plans, maybe some city riding, and of course, other exclusive girl talk. Who are the women of DLR? A lively mix—in background and experience. The only membership requirement is to join the group rides on your own Ducati. Though some single ladies represent, most of the DLR women are proud moms with packed schedules. When they’re not busy with their families, they’re juggling various engagements with jobs in sectors like banking, IT, lighting, and automotive. As a result, DLR meetups with huge rosters are infrequent, happening quarterly or during major Ducati events. For the ladies, that doesn’t automatically mean their bike will be put in a corner of the garage. When the schedule permits, these women ride—in smaller groups, with other riding groups, or with significant others. Driven by their passion for riding (why wake up so early on a Sunday otherwise? ), the 29-strong Ducati Lady Riders have racked up serious saddle time. Most of the ladies caught the riding bug after taking the one-day Ducati Riding Experience (DRE) riding clinic. Others, like Joy de Joya, who has been riding since 2010, learned in riding schools such as Honda Safety Driving Center, and a few, like Nikki Orial, grew up in a family of riders. Outside opinions about the “proper” bike for women and about their safety are also things to contend with. The women of DLR are unfazed. Scooters are the proper bikes for women—when they’re riding in the city. 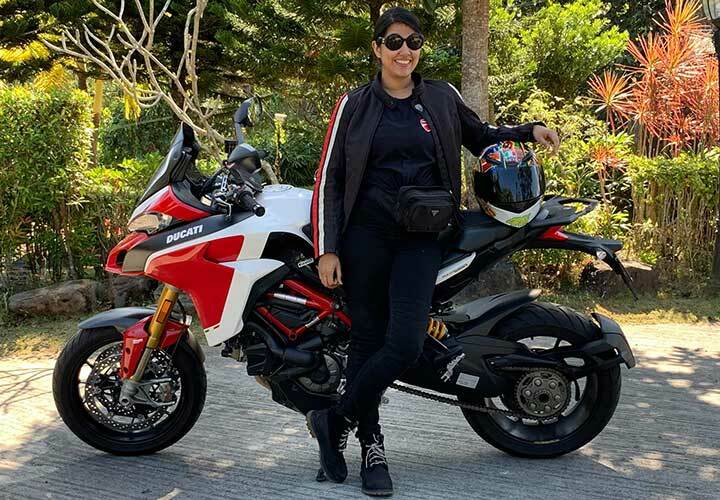 “We have one on the side,” said Charlene Rai-Budhrani, who rode her husband’s Ducati Multistrada for the day and has a Scrambler of her own at home. With regard to safety, the ladies place great value on the skills they’ve picked up on the way. They eagerly list skills they’ve found indispensable. Looking where you want to go. The art of countersteering. Hopping on the bike and just logging kilometers. “You really have [to learn] to ride anywhere,” said Lynn Sanchez, who recently participated in a 10-day motorcycle rally in Vietnam. 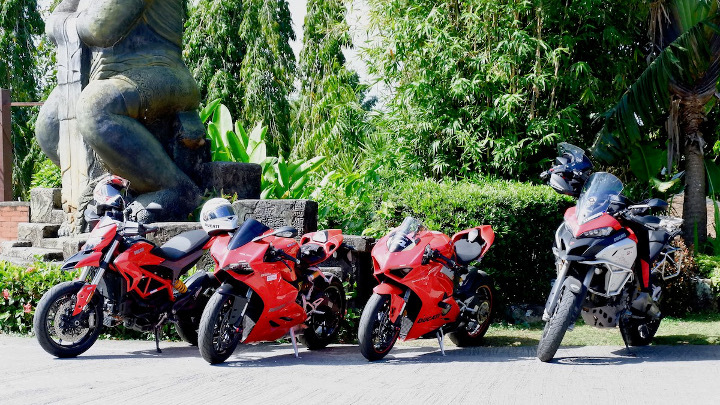 Since DLR was formed primarily for riding Ducatis together, what made these ladies gravitate to the Ducati brand? 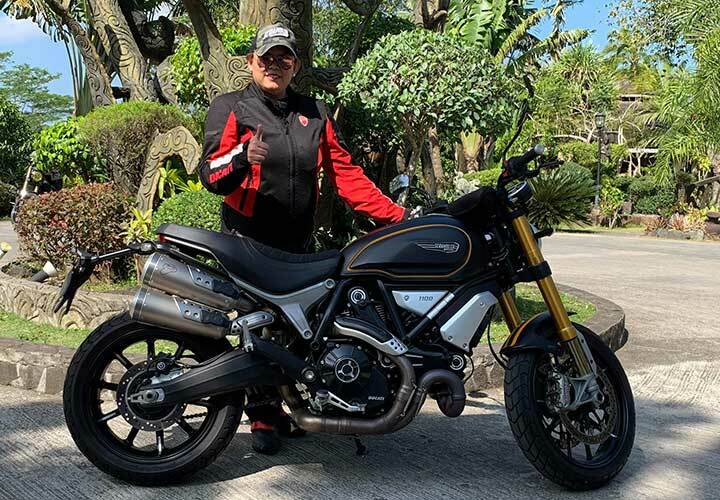 According to the eight present that morning, they’ve appreciated the active community of ride sponsors, attentive staff, and backup crew that Ducati Philippines provides for riders. On top of that, a Ducati is a Ducati. 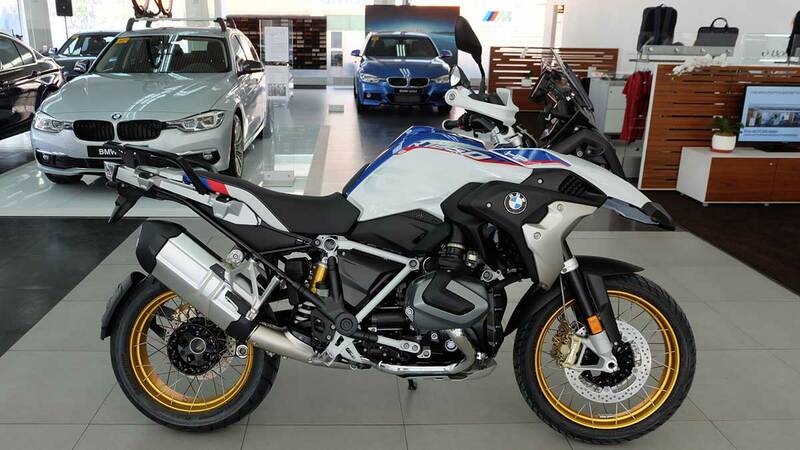 To quote one of the ladies, “It is the Ferrari of motorcycles,” known for a trifecta of sporty aesthetics, high performance, and lifestyle appeal. If this all sounds like an ad for riding, maybe it is! Kidding aside, the Ducati Lady Riders have some solid advice for other women still on the fence about riding. Two options right off the bat are to enroll in a riding school or to sign up for a future DRE clinic. And since riding motorcycles can get expensive quickly, “before you even consider [getting into riding], make sure that it is your passion,” Sanchez said. After doing some soul searching and saying “yes” to riding, you might find yourself with a fun new hobby with supportive women like the DLR which has already 30 members. According to the ladies, riding has given them useful traits that they’ve carried off the bike: patience (with emphasis), confidence, freedom, and a belief in their own abilities. 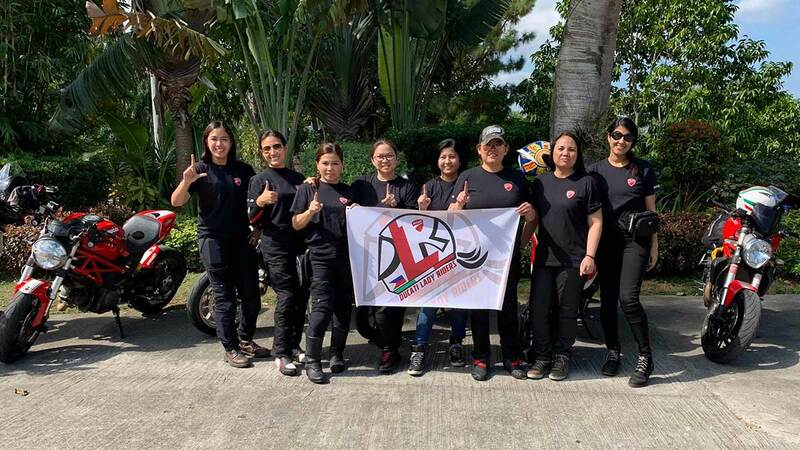 We’d like to give a special shout-out as well to the other female riders who joined the DLR first anniversary ride: Kaye Magdaluyo, Dang Pagsinuhin, Lani Iglesia, and Chiqui Ong. Content about their short get-together and the good food (another requirement for DLR’s breakfast rides), the women returned to their parked bikes for the last photo op. Back on the expressway, they waved goodbye and zipped down the exits that led back to their homes and families. It’s Sunday, after all.